The Plan was decided on by a committee of Indigenous stakeholders, local government and five government departments. The lack of input from state and local community groups is a missed opportunity to achieve a better plan. We have not been included in the early development stages and must now comment on the Plan from a position of limited knowledge. The Plan is strategic and has no detail on how the proposals will be implemented or the form they will take. Further public consultation will be required for elements of the Plan as they get closer to being planned. Part of the Swan Valley. The Plan places Whiteman Park (WP) as part of the Swan Valley. It has proximity and many common feature with the Swan Valley however it is only the most southern and unused area of WP that is in the Swan Valley. The opportunity has been missed to include WP in the Swan Valley Development Plan (2105) and this must be corrected in the 2016 Swan Valley Development Plan which is now due. The Swan Valley and WP need to work closely together to maximise opportunities for both. It is suggested that a formal arrangement to assist this process be established. Links to the Swan Valley must be established on a business level but also physically through road and cycleway routes and a common visitor/tourist transport service passing all attractions with contact at train and bus stations. Links to the Swan River are essential and need to be investigated as a priority. This is an area poorly explained in the document. We would have preferred to see a breakdown of the visitation/ tourism numbers. Much of the WP visitation is Perth residents and visiting friends and family while the Caversham Wildlife Park within WP is tourist based and included in your total figure and needs to be separated out so we can better understand the demand and therefore the need of WP not including the wildlife park. To quote you “Whiteman Park is one of Perth’s most visited attractions, with more than one million visitors each year. 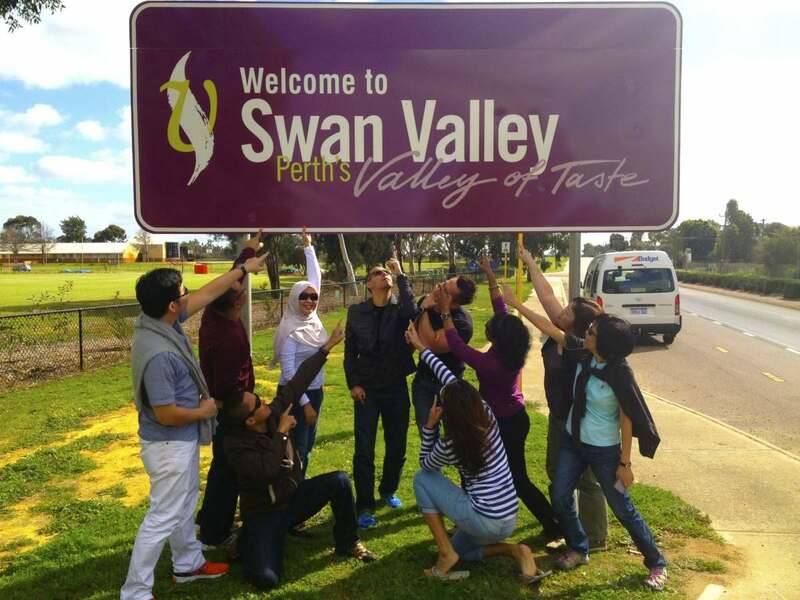 It is also the most visited attraction in the Swan Valley.” Some more information would have added value to this statement such as WP visitation has been at around the one million per year for many years now and a graph would have been useful and the Swan valley visitation is now running around 3.1 million per year (City of Swan survey 2016). These groups have been a big part of the WP attraction and are needed to continue and prosper. Additional groups need to be considered on their merits. The Plan is light on this section and more is needed. No Friends Group. WP has many incorporated volunteer groups and these represent their own interests and not WP as a whole. WP has a volunteer group but not as an incorporated. This leaves WP without a single voice on issues and no access to funds that are only available to non- government organisations. Lotteries for example will not fund WP but would fund an incorporated group. An attempt to start a WP friends group a few years ago was thwarted. a) “ Providing interconnected meeting places for communities to meet, recreate in and enjoy” We don’t understand this outcome. The proposed road and services upgrade and key land uses listed don’t explain how they will achieve the objective. WP is already a major meeting place for the community and volunteer groups. b) Providing improved access for the community to the Park’s activities. We agree with this objective. The scope needs to be expanded to include from adjoining areas including the Swan Valley. Linkages of better roads and cycleways are essential. Cycleways will require under or over passes on the major roads of Lord Street, Gnangara Road and Perth Darwin Highway at several places each. Access is greatly restricted to and within WP and to an even greater degree in the Swan Valley by poor public transport both to and within both areas. A dedicated service is required to pick up from train and bus stations and then pass all Swan Valley and WP attractions. Both WP and the Swan Valley are large areas and transport is a major problem to solve that will require government assistance. The proposal to open WP on a 24/7 basis will be expensive to staff and make difficult activities when a public free period is needed. This proposal has merit but will need to provide limited area access. c) A destination of significance for local and international visitors. This outcome is supported. The Caversham Wildlife Park is the only working tourist attraction at WP. The challenge is to attract other ventures that will add value and a return to help support WP. Such attraction need not be based on the existing themes of WP. d) Conserving the environment and Whiteman Park’s heritage for future generations. This outcome is supported. WP does need ongoing work to maintain its environmental values. It is however not best paced to be a research organisation or breeder or rare fauna. These activities should be managed and paid for by professional organisation like Department of Parks and Wildlife. Government must resource a single organisation to do these tasks well. WP with its close proximity to research organisation (universities etc) is ideally suited as a research site and this must be fostered and maintained. Two areas of concern not addressed are firstly the loss of water levels (over abstraction Gnangara Mound) resulting in the loss of all wetlands except Grogan’s Swamp by the Swan River. Any new development in the southern area of WP must consider replacing the lost wetlands by excavating to water level and in a more limited way beyond. The other area of concern is the overpopulation of kangaroos on WP. There are thousand where there should be hundreds and the research on historical and sustainable kangaroo numbers is well known. The WP breeding rate is 40% per year (Bamford and Bamford). This overpopulation is resulting the destruction of native flora and degrading the values of WP. Eventually the kangaroos will starve and either die or relocate to the adjoining suburbs both of which are unacceptable. A kangaroo management plan is urgently needed. The entire WP area plus the Old Caversham Airfield bush forever site must remain in the ownership of WP. Any commercial activity must see the funds directed only to WP for its use. 1) Woodland Reserve and conservation area. This initiative is supported. Grogan’s Swamp by the River must be included in this category. It is the only remaining wetland on WP and must be preserved, enhanced and provide an interpretive opportunity. The woodland will require ongoing maintenance and some repair works and this must be funded to a satisfactory level. 2) Village. This area is satisfactory but needs more activities in what is the heart of the WP attraction area. 3) Bennett Brook Reserve. The connection between Marshall Road and Benara Road is narrow and problematic. This area can be revegetated with mostly tree species to enhance its appearance but will do little for its environmental values. Below Benara Road is Grogan’s Swamp. This wonderful area of great value must be utilised and become better known. 4) Marshall Road Lands. The use of this land as a buffer and to generate income from compatible ventures is supported. The regional sporting fields are a good initiative. This area will need good public transport. Water for irrigation is not available and this must be addressed now so the project can move forward. A sewer passes by but the water is untreated and cannot be use. A local waste water treatment plant is needed and could supply irrigation standard water. The cemetery proposal is not supported without further discussion. A cemetery will not add an attraction to WP and if it is to proceed it must pay a commercial lease fee to WP. 5) Lord Street Lands. This is a strange concept that is not well explained. It is a very large area for commercial use yet the proposed uses listed would only require a few hectares. Its suggested possible use as a competitor to the Swan valley attraction is in conflict with your Swan Valley Development Plan (2106 version now overdue). Also being 50% Priority one water reserve prevents even a car park being built and this area needs to revert to woodland reserve. Cynically it appears that this area may have its Priority One water reserve status changed. 6) Old Caversham Airfield. This is a Bushforever site with very limited environmental value. This site will be cost burden with no return to WP and would better be managed by the Department of Parks and Wildlife. Thank you for the opportunity to comment on your Plan. We would be interested in being involved in future meetings or discussions to further progress to final plans. This entry was posted in Environment, SVPA Submissions, Tourism. Bookmark the permalink.